As a child, the library was my haven. A space where I could quietly read and let my imagination run free. Every summer, my mom would take us to our local library where we allowed to choose a handful of books to take home. The library was a safe place, a sacred place, a place where if you spoke above a whisper, you'd get a stern look. It taught me to love reading. It taught me discipline. It taught me to care for possessions that were not my own. My book bag became a portal to a world of quirky characters, colourful illustrations, silly puns and magical lands. When I went to university, the library became more than a haven. It became a lifeline. In between the shelves, I discovered poets and mystics, philosophers and teachers, artists and students. On the 13th floor, I'd stack the books on the table, take out a fresh piece of paper and copy. Copy because I wanted to internalize the words. I wanted the words to be written by my hands, to be folded and tucked in my bag, or my pocket. I copied Edmund's Speech from A Long Day's Journey into Night. I read the marginalia from students of the past, sometimes learning more about them than the book itself. When the snowfall became too heavy and the walk to residence became too long, the library was always there. A towering house of books, where I could find a quiet corner to be left alone, to stay as long as I needed to. 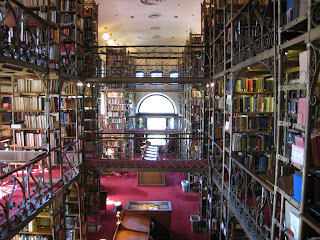 There is a certain lull in a library that cannot be duplicated anywhere else, except perhaps a place of worship. But the library is a place of worship, a building that houses knowledge and wisdom accessible to everyone. All you need is literary curiosity, reverence for learning and a free library card. When my first book was published, one of my goals was to get it into a library. Bookstores have quick turnovers, but libraries keep your work forever (hopefully). 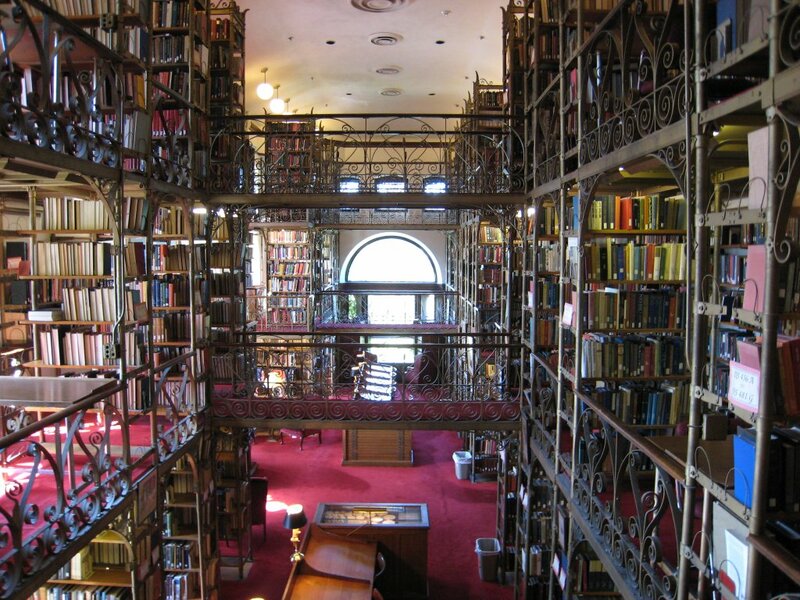 The idea of having my book in an institution that contains ancient manuscripts, rare collections and historical treatises within its walls--that is all an author can ask for. To privatize libraries is to privatize knowledge. To return to the elitism that democracy fought against. To limit the education of our future generations. It will not, and cannot happen. Great post, Sheniz. It's scary to think that this could happen. Infuriating to think that our politicians think it's perfectly reasonable. S: I share your love of the written word, passion for books, and that immovable sentiment that libraries - the keepers of the art - are sacred. As a child I climbed into books in order to escape my own world, and found such beautiful solace there. As an adult I seek books that will provide a respite from life, insight, knowledge, or a light to guide me. I learned a love for books early, and seek to pass on my passion for them to my students. (I am a stubborn hold-out for the traditional bound versions, though my friends and family enjoy their e-readers.) Thank you for your beautifully written post.